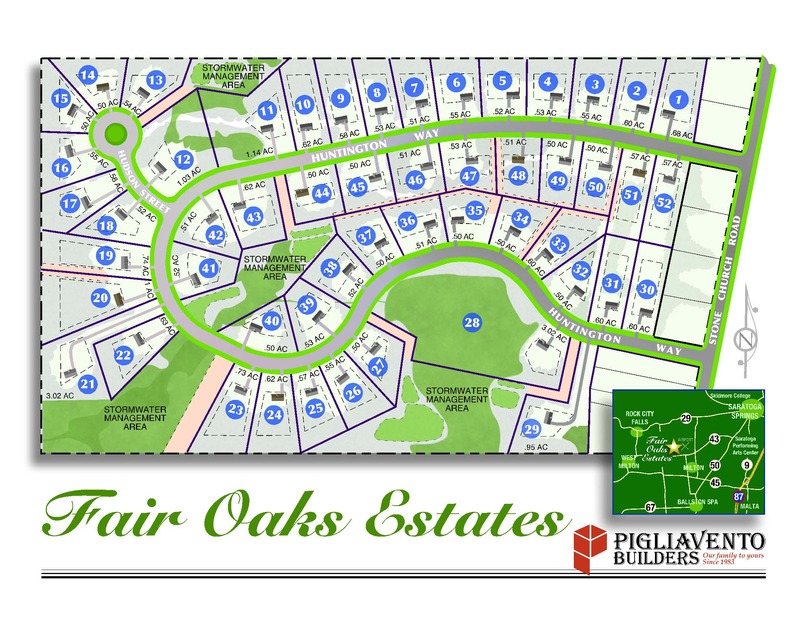 The Fair Oaks Subdivision is located minutes from Saratoga Springs. It is off of Stone Church Rd between Geyser Rd and RT 29. Its minutes from SPAC, the Spa State Park and all that Saratoga has to offer! Here is a glimpse of the Fair Oaks Model Home. For more info and photo's of this home please look in our featured listings as well as as the drop down page under New Home Construction. This home is built to Pigliavento Builders exacting standards, for more information and a complete list of standard features, please see the Standard Features drop down page, or Click Here.